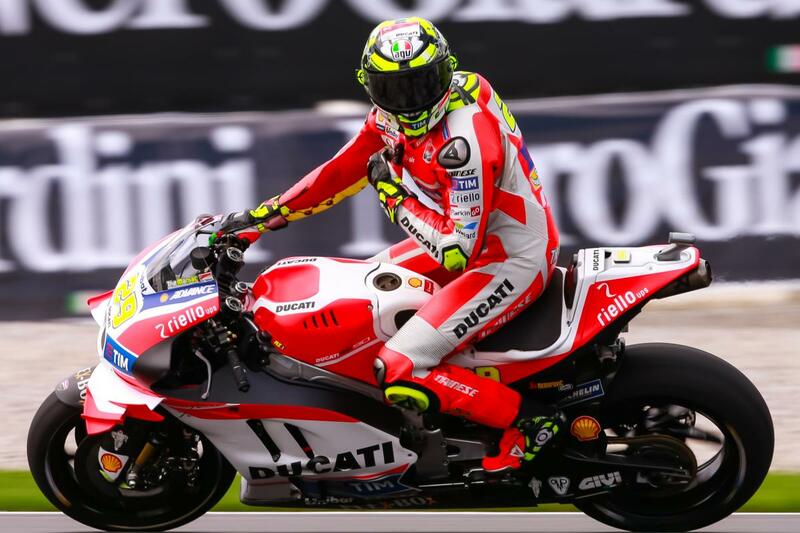 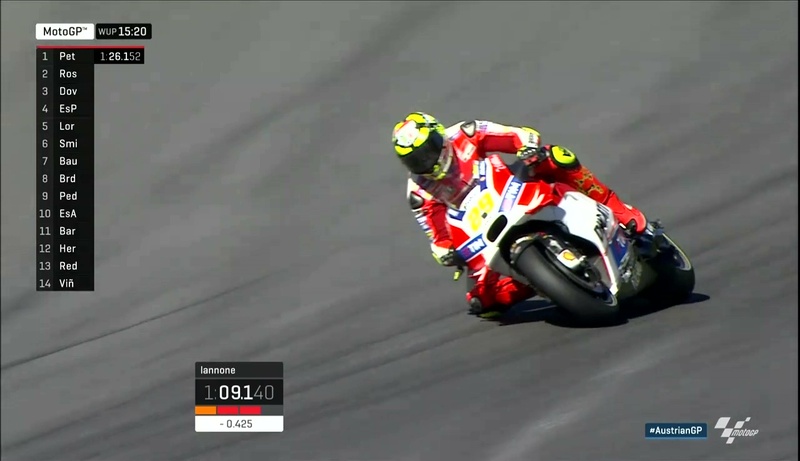 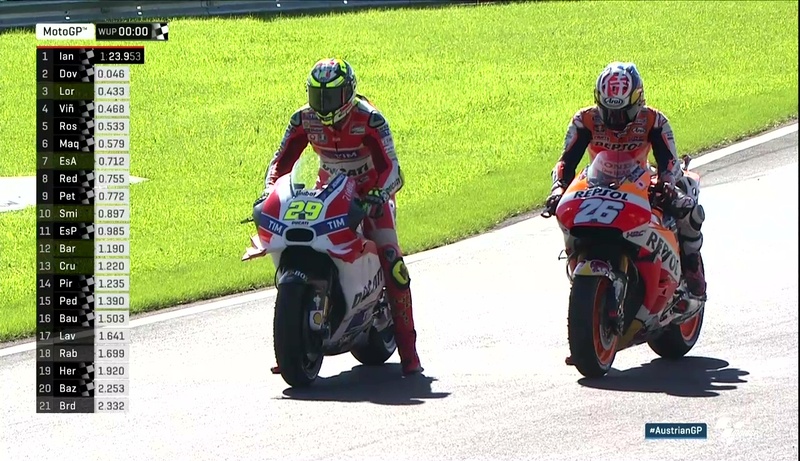 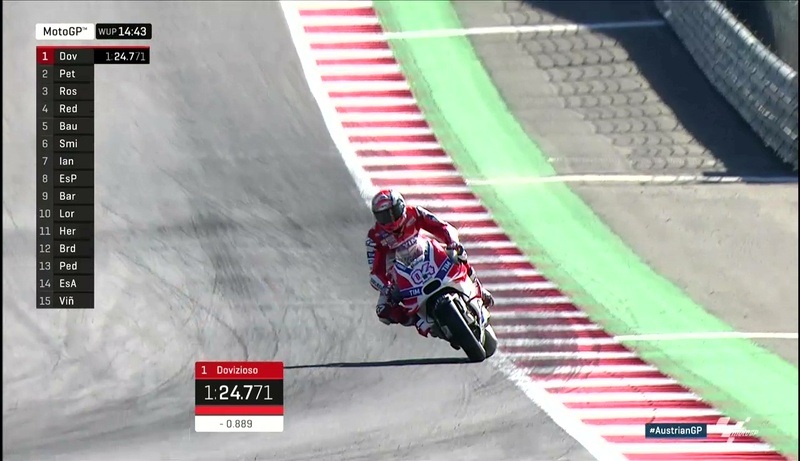 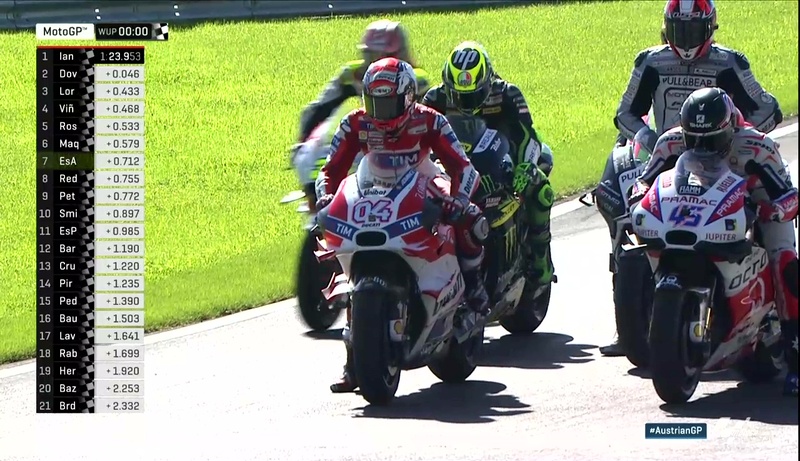 Andrea Iannone (Ducati Team) has topped MotoGP™ Warm Up at the Austrian GP, with the polesitter beating teammate Andrea Dovizioso to the top spot. 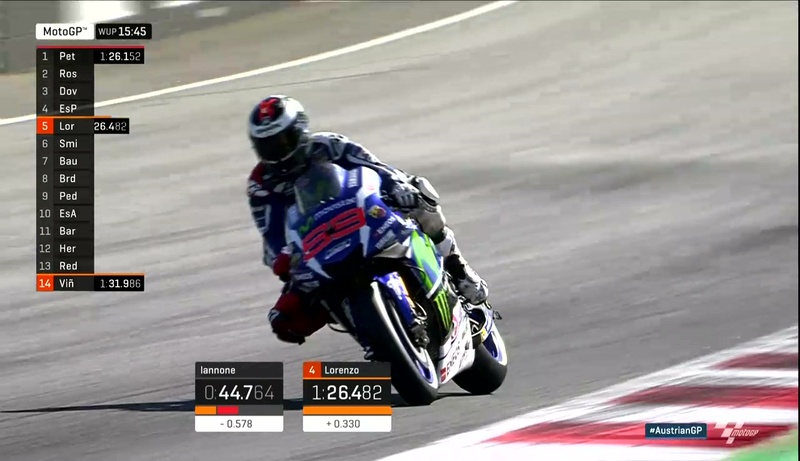 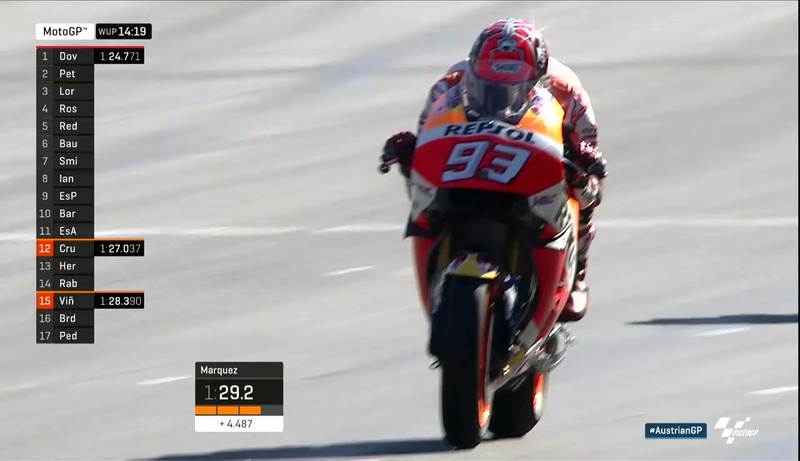 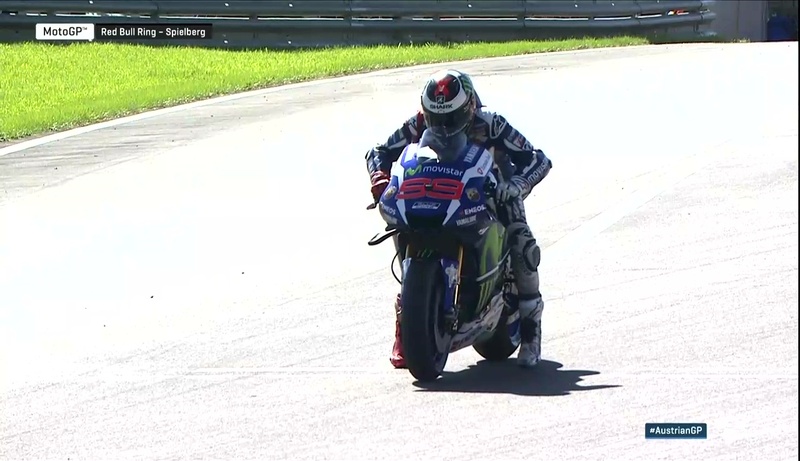 Movistar Yamaha MotoGP rider Jorge Lorenzo was third quickest, as the ‘Shark’ is still working on closing the gap to the Ducatis ahead of the race. 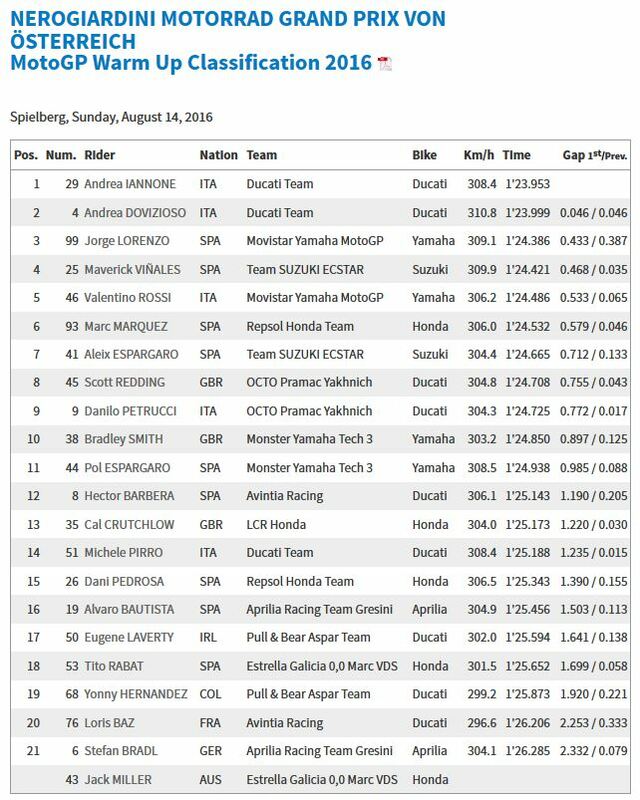 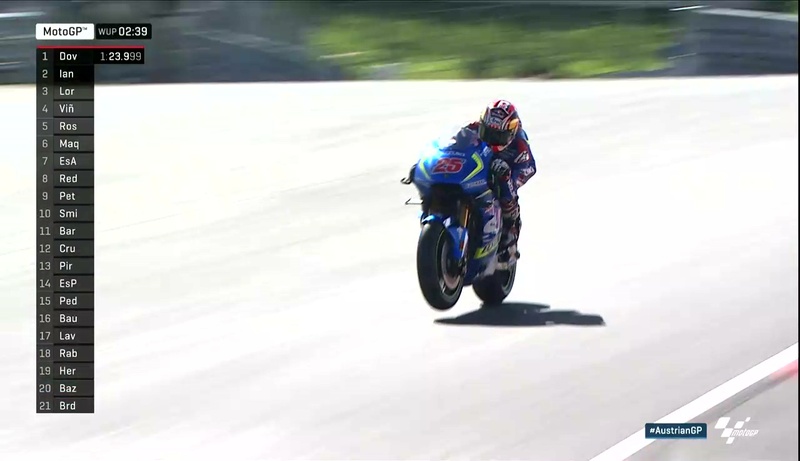 Maverick Viñales (Team Suzuki Ecstar) was P4, ahead of Marc Marquez (Repsol Honda Team) – who was out on track after his brief shoulder dislocation on Saturday and was P6, just behind Valentino Rossi (Movistar Yamaha MotoGP).